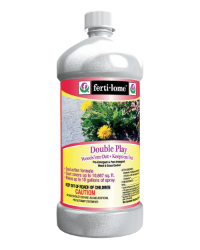 Pre-emergent/post-emergent weed & grass control dual action formula season long control. For use on driveways, sidewalks, fences, gravel areas, and ornamental beds. Controls barnyardgrass, annual bluegrass, bermuda, carpetweed, chickweed, crabgrass, crowfootgrass, cupgrass, dallisgrass, foxtails, goosegrass, henbit, itchgrass, johnsongrass, pigweed, rescuegrass, shepherdspurse, speedwell, sprangletop, witchgrass and many others listed on label.